Earlier this month, news broke that plus-size fashion retailer ELOQUII was purchased by Walmart. This was a business move that confused and concerned many in the plus size community. How would this merger affect the future of ELOQUII? Would Walmart affect the business practices, employees, and clothing quality of ELOQUII? 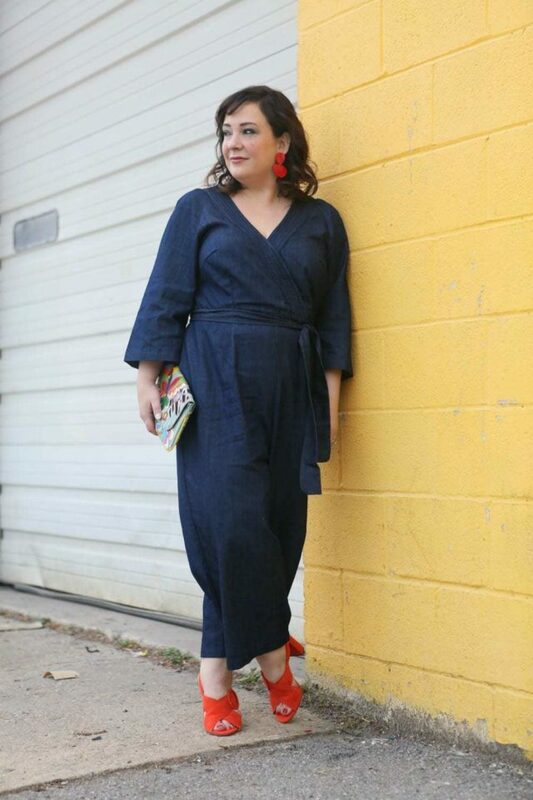 I had a chat with Jodi Arnold, Creative Director of ELOQUII and asked her this and other questions I had about the ELOQUII/Walmart partnership. Wardrobe Oxygen: What brought ELOQUII to the decision to sell to Walmart? 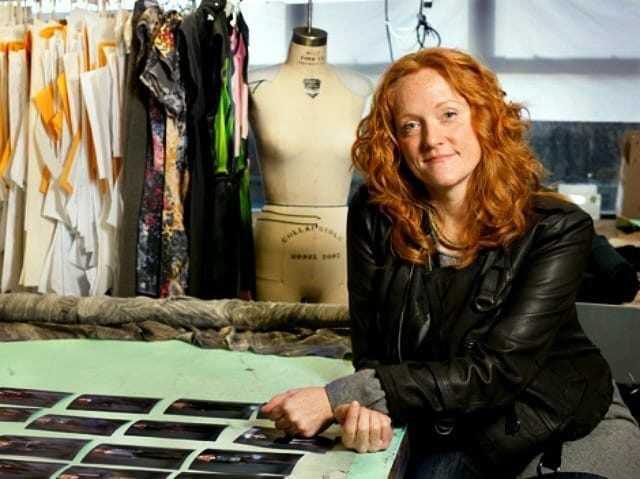 Jodi Arnold: We are so proud of what we’ve been able to achieve in the past 4+ years but every single day there were limits to what we could do because we just didn’t have the resources to fully be the fashion company we wanted to be. Simply put, with Walmart’s scale, we’ll be able to do more and grow our business. And that means more resources can go towards fashion and serving our customers. Side note, many customers might not know that (as of last Monday) we were a venture-backed business. So that means we needed investors’ money to re-start and run “ELOQUII 2.0”. Investors require a return on their investment so we always knew we’d need to find a buyer at some point. It was just a matter of time, who and why. WO2: Why Walmart and not another company? JA: Walmart wants us to keep doing what we are doing—and more of it. We liked that they respected what we believe makes us different and unique, and only wants us to push ourselves further. Throughout this process, it became clear that they trust and believe in what we are doing. So why Walmart? That trust along with the opportunity to build our brand and be a part of their innovation. WO2: Where do you see ELOQUII in a year thanks to this business decision? How about five years from now? JA: We need more women to know ELOQUII, to know we have stores. You’d be shocked at how many women don’t even know that we exist and that’s a problem that we’re looking forward to working with Walmart to help address. Everyone at ELOQUII wants to do more for our customer. We want and look forward to actually taking more fashion risks. WO2: Do you plan to sell ELOQUII in Walmart stores? JA: We don’t have any plans to at this time. WO2: Will this purchase provide the funding to expand sizing/increase petite and tall offerings? JA: We want to dress every woman size 14+ and we hope we’ll be able to continue to increase offerings like Viola and for women of different heights and shapes. We absolutely know it’s a need. WO2: We have seen companies like SPANX and BaubleBar create a lower-priced version of their products for big-box retailers; does ELOQUII have any plans to create a similar product? JA: We just announced and haven’t even closed the deal yet. We don’t have any plans for that at this time. How would your readers feel about something like what BaubleBar has done with Target? WO2: Will ELOQUII operate under your current HR policies or adopt those of Walmart? How will current ELOQUII employees be impacted in terms of wages and benefits? JA: From my current experience, Walmart has treated our team incredibly fair across the board. What a fun way to start the day! This morning I was on @fox5dc to showcase the amazing holiday @eloquii collection with @heartprintandstyle and @blonde_inthedistrict. Thank you @winibird1315 you are amazing and thank you @mokimediapr for putting all of this together! WO2: What is ELOQUII’s mission and vision as a company? How does aligning with a company like Walmart advance your mission? JA: We believe in the transformational power of fashion and seek to unlock it one customer at a time. With Walmart’s help, we can reach more women and truly move fashion beyond a size 12. WO2: How will your quality and sourced material standards be assimilated/changed as part of the Walmart portfolio? JA: No changes to our manufacturing. We will continue to use the manufacturing partners we have now. We hope that as we grow and have more resources behind us it will help us with better sourcing and even better quality in the future. 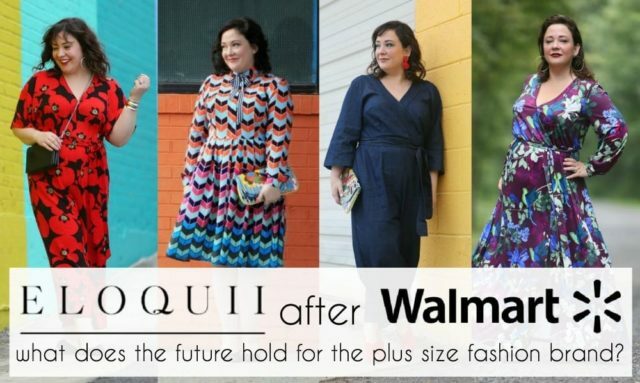 WO2: Will Walmart have any say in the creative direction of ELOQUII? JA: No. I am and remain Creative Director with my same talented design team. WO2: What changes will the end consumer see as a result of this purchase? JA: A lot of the work will be behind the scenes but we hope she’ll get a more seamless, smooth brand experience with us. Think better site experience, more customer service, more stores, those sort of things. And we also hope to take advantage of cost savings through Walmart’s shipping rates. WO2: Where are your clothes currently manufactured? Will this change and how? JA: No changes to our manufacturing. WO2: Will there be any executive/corporate changes to ELOQUII with this purchase? WO2: Anything else you’d like to share regarding Walmart purchasing ELOQUII? JA: I’ll leave you with this. There are things I didn’t know about Walmart until I got to know them. You and your readers may also be surprised, especially when you learn how much they champion women and give back. At ELOQUII 70% of our senior leadership is female and 40% of our Board of Directors were female. That probably doesn’t surprise you. But did you know that 55% of Walmart’s US workforce is female? That they outpace the current S&P 500 with female representation at the corporate officer level? And that last year, they promoted more than 230,000 associates to jobs of greater responsibility and higher pay—and more than half were women? I assumed that they had corporate giving programs. But I never knew how much they gave back. Their total cash and in-kind donations totaled over $1.5 Billion last year—that’s more than $1.5B going to communities. And since 2014, they’ve donated 2.5 billion pounds of food to charities and food banks. 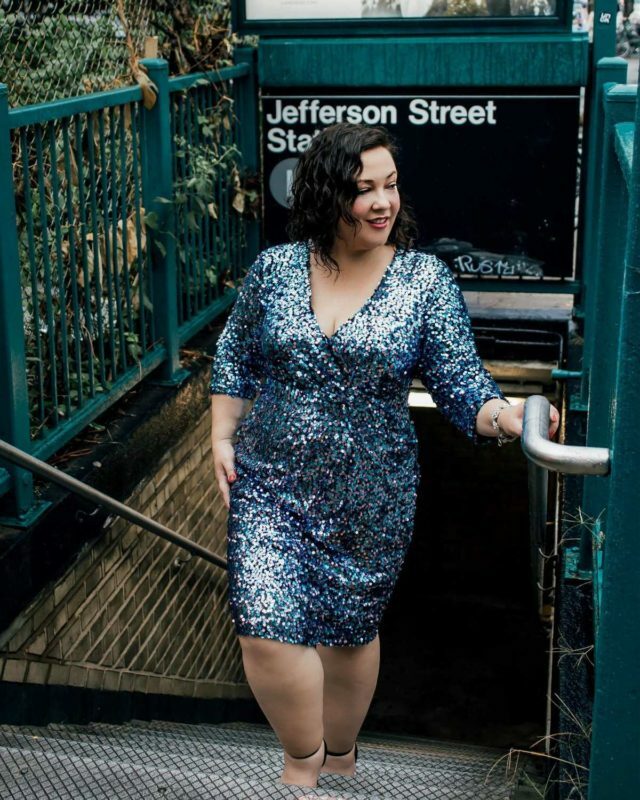 Last week I shared that I would no longer be able to promote ELOQUII since they were purchased by Walmart. I don’t agree with Walmart’s business practices and how they treat their employees. However, no business is black and white, good or evil. When you dig down, you find that many of your favorite brands are owned by larger corporation that may do good while also having concerning business practices. I love supporting small and independent businesses, and over the years of blogging have been able to see some of these businesses grow and see what it takes. Investors that will provide money if you are willing to change this one thing. Partners who bring incredible talent and knowledge as well as their style of performing business. The need to change your manufacturing practices to keep up with demand. I’ve loved companies and the people behind them, and seen them outgrow our business relationship as they gain fame and a new audience. ELOQUII reached out to me. In the midst of a major growth, they asked me, a relatively small blogger, to share their side. To help me understand, and help all of you understand why they did this. And I gotta say, that impressed me big time. ELOQUII has always been a company who listens, who cares. I’ve seen them grow and change to better serve the plus size community. I will never forget when I asked one of their designers if they plan to carry 12 again and she said no. Size 12 is prevalent in the mall, it’s easier to find. 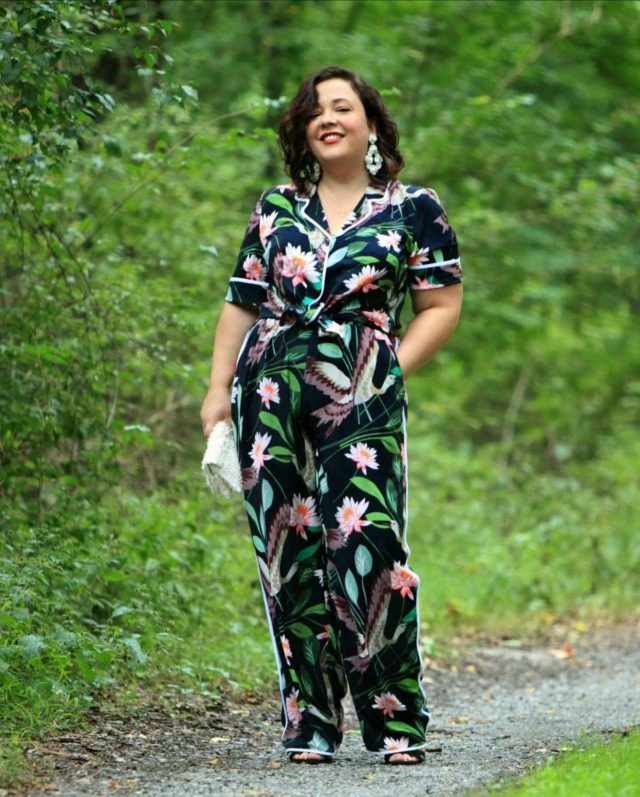 ELOQUII is not about making everyone happy, it’s about bringing fun and fab fashion to a community who deserves it but can’t find it everywhere. And while we’d love to think our purchases during their sales and splurges on a single dress will bring them success, brands need a lot more than that to keep up with demand and get to the next level. So this merger with Walmart? I get it. This is the way to achieve their goals without losing creative control. We as consumers have choices to make every day. Does a brand match our beliefs? What do we care about most? Do they care about the environment? For women? Do they support a politician who is trying to take away what is important to us? Where are their products made, and how are those making the products being treated? I believe in voting with my wallet, and I hope you do too. ELOQUII was originally a spin-off from The Limited, a company I worked for many years ago. I saw how they treated their employees, knew how they got their merchandise, and it wasn’t stellar. They gave up on ELOQUII, but ELOQUII wasn’t ready to give up on itself. 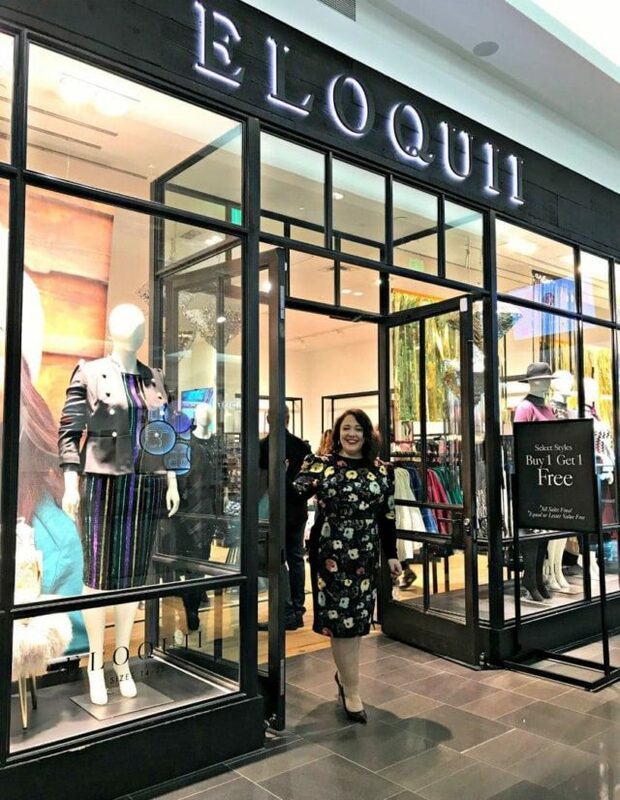 ELOQUII 2.0 is the brand you know, Jodi and her team are a group of people with a passion for fashion who went off on their own and grew an amazing fashion brand out of virtually nothing. And now, to continue doing what they’re doing they need funding. I infuse my beliefs into my business, but even as my business grows I need to reassess my stance. My top priority is to help women. Through this blog I have come to understand what a privileged bubble I live in, I learn more and as my audience grows, I look for ways to make fashion more accessible to a greater variety of women. I do not and will not support Walmart. You will not see me advertising or suggesting products purchased directly at Walmart. But I will continue to suggest ELOQUII. Plus size women have limited options to achieve their personal style. ELOQUII has filled a very large hole in plus size fashion, and this merger will help them dress even more women. I look forward to ELOQUII making a positive impact on their parent company. I think Jodi is naive. I think she will regret her decision in time. Walmart is tremendously wealthy, powerful, and ruthless. I don’t trust them at all. I wish Jodi the best. But I will no longer purchase Eloquii. I really appreciated this interview and your willingness to reconsider. Like you when I heard about the merger I was mad. Even wrote to Eloquii to let them know. I hate Walmart. After reading this I will give them a chance and see how things go. Like the other replies I noticed that some of the questions were not answered. I’m not sure if it was because Jodi didn’t know or she chose not to answer. Either way Eloquii is one of my favorite brands and I will tread lightly to see how this goes. Yeah…I’m with the first commenter that she didn’t address anything with respect to Walmart’s labor practices, which is the crux of the matter. That Walmart employs a lot of women that they then pay poorly isn’t really a win. I don’t know why that lets Eloqui off the hook and how you are going to be able to perceive whether they have a positive impact on Walmart’s labor practices when they wouldn’t even answer questions about them in a direct interview. Thanks Allie for looking into this. I appreciate that you care about how your clothes are made and that you make your readers aware of this too. You are free to make whatever choice you make about Eloquii and so are your readers. Only time will tell how they fare under the Walmart umbrella. But this piece did not give me more trust. So many thoughts running through my head, but Ali, you did a nice job with this post. It’s certainly understood from a business perspective as to why Eloquii wants and needed to partner with a larger business. I live in AR, home of WalMart, so I’ve watched them for years. Their impact on communities is varied. They have put so many small business owners out of business. Most of AR is rural, and after WalMart put those small businesses out of business, it forced the people in those communities to have to shop at the local Walmart. They just don’t have other options. I do because I live in a large city and my income (my privilege) allows me to. So I can’t judge others who don’t have my options. The other problem I have with WalMart is their support of charter schools. It’s devastating what they are attempting to do here at home. That is my main reason for continuing to use my money in other stores. This is a tough one. I have mixed feelings about Walmart, but I too come from the privileged position of being able to shop elsewhere. Our town has a lot of veterans and retirees on fixed income and Walmart allows them to afford things. I never see these groups that struggle at our local Target. 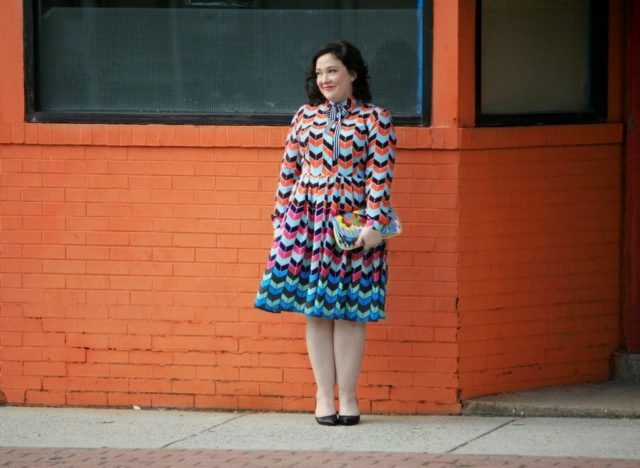 I love Eloquii clothes and they fill a professional hole in my wardrobe. I want more clothing companies to serve my size and quality needs. I want Walmart to make these types of products accessible to their demographic (less privileged people). I mean why should I be the only one to be able to buy a nice suit? I keep bumping up against how my “morals” sometimes hurt the groups I am actually trying to help. We now charge for plastic bags in CA, which we can say was for the environment, but it doesn’t hurt people like me if I forget plastic bags; for me 5 cents per bag is no big deal. These costs/laws hurt the most vulnerable population though. From a business perspective, I am wary of acquisitions. My last company, a software company, was bought by a large Canadian company. We had established a foothold in a customer base they wanted, but they came in and gutted us. In our instance, the company that acquired us was so large they had no idea how to run the business and the folks who were running it prior to acquisition left. It was a recipe for disaster. This is where I feel maybe more hopefully with Eloquii though. It is encouraging to me when the folks who know the business stay. If Eloquii is able to function as a separate entity – and keeps its employees happy – there can be benefits; things like job security as long as the business continues to grow is one of them. I also have concerns with 3-4 large megacorps owning everything (Amazon, Google, Walmart, etc.) but I am not sure we can slow that train down. If we don’t vote with our dollars how do we impact these large corps to listen? I feel like we need an independent ethics board for these behemoth companies that can impose punitive sanctions. Who knows though, I am so torn. Do we know how other Walmart acquisitions have faired in the process? I honestly haven’t looked at how Walmart could evolve or what I’d ask them to do to be more in line w/ my values. Thank you for this thoughtful interview and it gives me lots to mull over. In 2004 I somewhat reluctantly took a job at Walmart.com, located in the Bay Area. I say reluctantly because I was aware of their reputation. I took the job because they were hiring me as a copywriter and I was attempting to make a career change—this was my 1st big opportunity. I ended up staying 6 years and having an amazing experience. After working for many other big retailers since I left The Mart, I can honestly say they have their stuff together more than any place I went on to work. Career development, innovation, everything. I worked with a amazingly talented people who have all gone on to the top digital companies in the Bay Area. I know they still have a ton of work to do and in no way do I think they are perfect but I don’t believe they are the Evil Walmart of old any longer. Just my 2 cents! And update us if you see significant changes.